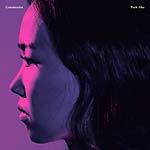 Park Jiha's debut album Communion (GB 057CD/LP) -- released internationally by tak:til in 2018 -- drew well deserved attention to the young Korean instrumentalist/composer's vivid sound world. The widely acclaimed album graced 2018 critics lists at The Wire, Pop Matters, and the Guardian. Her new album Philos -- which she calls an evocation of her "love for time, space and sound" -- is every bit as inventive, elegant, and transcendent as her debut. While Park Jiha's music is often contextualized by its kinship with minimalism, ambient, and chamber jazz, her creative backbone is Korean traditional music. Jiha formally studied both its theory and practice and has mastered three of its most emblematic instruments: Piri (double reed bamboo flute), saenghwang (mouth organ), and yanggeum (hammered dulcimer). On Communion, Park Jiha wove these ancient instruments into an ensemble sound that included other musicians contributing on vibraphone, saxophone, bass clarinet, and percussion. The effect felt revelatory; it seemed to naturally evoke Jon Hassell's "Fourth World" ethos, morphing across time and tradition. Philos is both an extension of, and a swerve away from, her previous record. It shares its predecessor's patience and deeply resonant hypnotic effects. It similarly looks to the future, while continuing to converse with a rich instrumental language from the past. But the overall tone and intent feels much more interior and personal -- more rarefied. Whereas Communion featured the classic sound field of a group of musicians playing in a room, Philos trades that for more density and concentration. Each sound has been given the artist's full attention. In Greek, "Philos" is the plural for "philo" which can mean "love" or "the liking of a specified thing." The album's compositions include "Arrival", which slowly introduces every sound featured on the record. The gift of unexpected rain in the heat of midsummer is heard on "Thunder Shower". "Easy" is a poem written and recited by the Lebanese artist Dima El Sayed who visited Korea to participate in the Hwaeom Spiritual Music Ritual and was inspired by Park Jiha's work. The title track "Philos" was created by overlapping sounds and stretching time. "Walker: In Seoul" evokes the vivid soundscape of the city in which Jiha lives. "When I Think If Her" features the ghostly melodies of the yanggeum and saenghwang. Park Jiha reaches for a sturdy simplicity. A borderless connection between her life and her accomplished musical art. LP version. 180 gram vinyl. Includes download code. 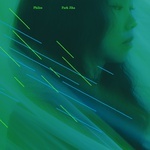 Park Jiha's debut album Communion (GB 057CD/LP) -- released internationally by tak:til in 2018 -- drew well deserved attention to the young Korean instrumentalist/composer's vivid sound world. The widely acclaimed album graced 2018 critics lists at The Wire, Pop Matters, and the Guardian. Her new album Philos -- which she calls an evocation of her "love for time, space and sound" -- is every bit as inventive, elegant, and transcendent as her debut. While Park Jiha's music is often contextualized by its kinship with minimalism, ambient, and chamber jazz, her creative backbone is Korean traditional music. Jiha formally studied both its theory and practice and has mastered three of its most emblematic instruments: Piri (double reed bamboo flute), saenghwang (mouth organ), and yanggeum (hammered dulcimer). On Communion, Park Jiha wove these ancient instruments into an ensemble sound that included other musicians contributing on vibraphone, saxophone, bass clarinet, and percussion. The effect felt revelatory; it seemed to naturally evoke Jon Hassell's "Fourth World" ethos, morphing across time and tradition. Philos is both an extension of, and a swerve away from, her previous record. It shares its predecessor's patience and deeply resonant hypnotic effects. It similarly looks to the future, while continuing to converse with a rich instrumental language from the past. But the overall tone and intent feels much more interior and personal -- more rarefied. Whereas Communion featured the classic sound field of a group of musicians playing in a room, Philos trades that for more density and concentration. Each sound has been given the artist's full attention. In Greek, "Philos" is the plural for "philo" which can mean "love" or "the liking of a specified thing." The album's compositions include "Arrival", which slowly introduces every sound featured on the record. The gift of unexpected rain in the heat of midsummer is heard on "Thunder Shower". "Easy" is a poem written and recited by the Lebanese artist Dima El Sayed who visited Korea to participate in the Hwaeom Spiritual Music Ritual and was inspired by Park Jiha's work. The title track "Philos" was created by overlapping sounds and stretching time. "Walker: In Seoul" evokes the vivid soundscape of the city in which Jiha lives. "When I Think If Her" features the ghostly melodies of the yanggeum and saenghwang. Park Jiha reaches for a sturdy simplicity. A borderless connection between her life and her accomplished musical art. Over the last few years a rising tide of new Korean artists have staked a place in the global music conversation. Groups like Jambinai, Black String and Park Jiha's earlier duo 숨[suːm] have created exciting soundworlds that deftly combine the instrumentation and complex expression of Korean traditional music with an array of contemporary sounds such as post-rock, doom metal, downtempo jazz, and classical minimalism. While Park Jiha's most recent musical endeavor, her debut solo album Communion, is another decisive step towards a more personal and forward-looking musical vocabulary, it also is deeply rooted in her traditional music education and background. Jiha's main instrument is the piri, a traditional Korean instrument which is like an oboe. She also plays the saenghwang, a traditional instrument similar to a mouth organ and made of bamboo, the yanggeum (hammered dulcimer), and percussion. Park Jiha started her music career by founding the duo 숨[suːm] with Jungmin Seo in 2007 -- after she had finished her musical studies. 숨[suːm]'s music, composed with an array of traditional instruments and buoyed by unorthodox musical structures, was an immediate and profound influence on the new Korean music scene. The duo released the album Rhythmic Space: A Pause For Breath in 2010, and 숨[suːm] 2nd in 2014. But Park Jiha began to hear a much different music -- one that directly interacted with more distant sound traditions and a more eclectic instrumental palette. Putting 숨[suːm] on pause for the moment, she started collaborating with John Bell (vibraphone) and Kim Oki (bass clarinet, saxophone) to create Communion, her first solo album. Originally released in Korea in 2016, the album's compositions are sometimes hushed and other times slowly swelling and dynamic. It skillfully unites hypnotic minimalism and experimental strategies with Park Jiha's distinctive mastery of the piri, saenghwang, and yanggeum. "The Longing of the Yawning Divide" is inspired by the solemnity and resonance of a monastery in Leuven, Belgium. "All Souls' Day" constructs harmony and rhythmic lift between an unlikely grouping of instruments: the yanggeum, piri, saxophone, vibraphone, and the jing. The album's opening composition, "Throughout The Night" is a precise and keening dialogue between the piri and the bass clarinet.